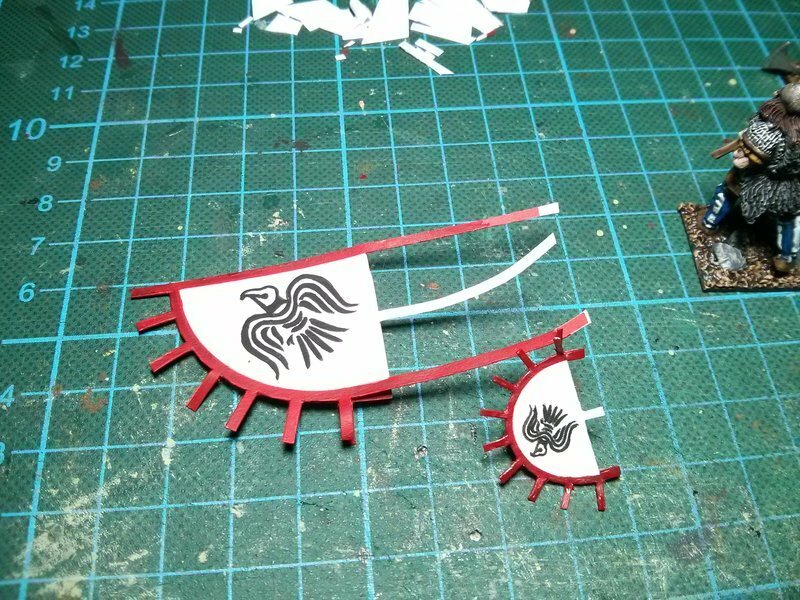 I printed the banners, then partly cut them from the paper before painting them. 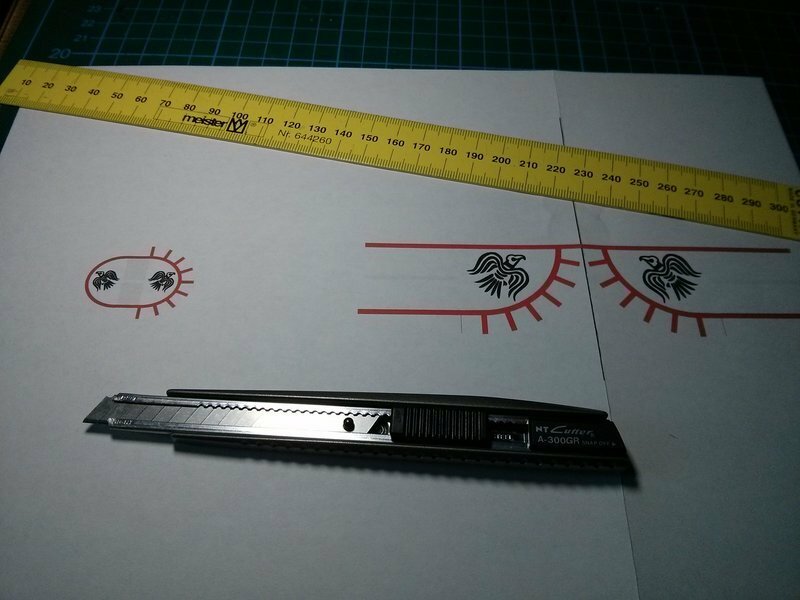 I had several issues why I didn't first paint them (as I usually do) before doing all the cutting. 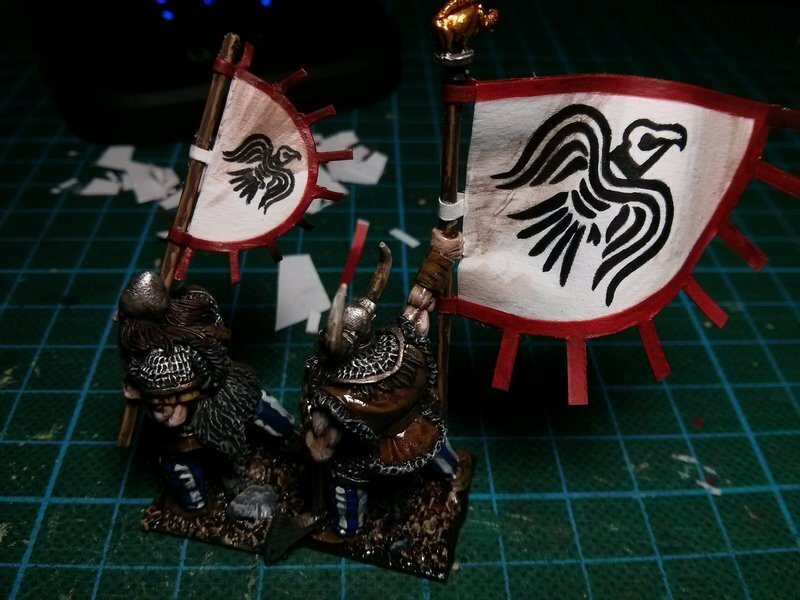 One were the fringes, which needed to line up, the second was the way the larger banner pole is being held by the miniature - I was not able to wrap the banner around from the front. 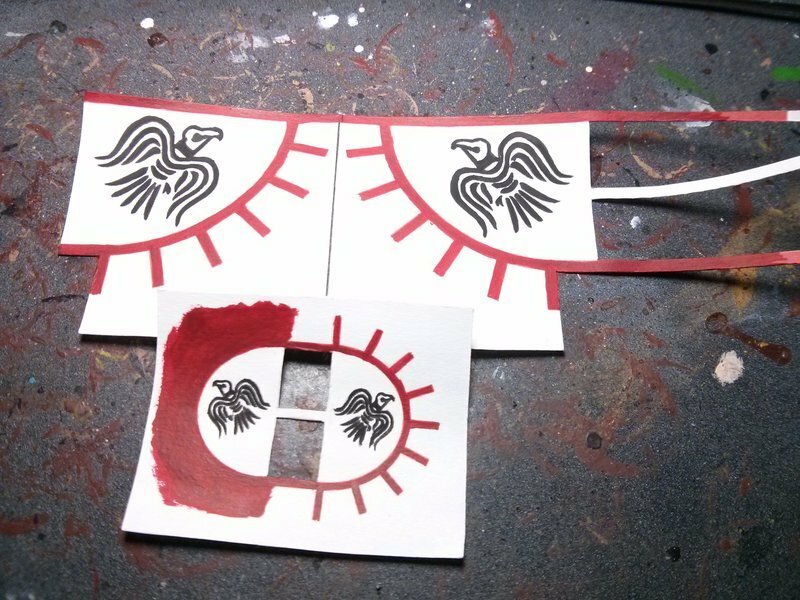 For the fringes, it was relatively easy with the larger ones; the ones on the small banner I cheated with: I painted one half completely red, then only cut them from the other side in one go after the two halves where glued together. For the larger flag, I folded the two sides of the banner not over the middle (as with the smaller one), but around the tips - first time I did that. 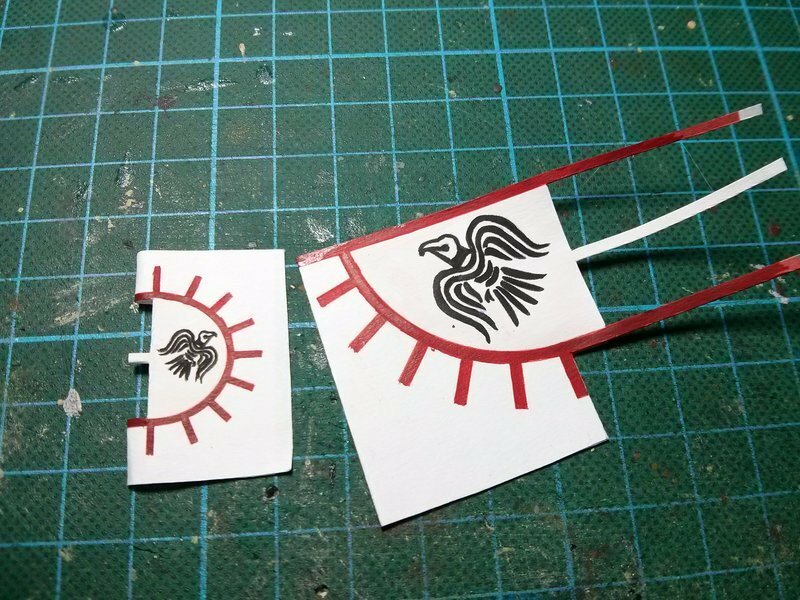 After the glue dried, I bent the banners into shape and added some very thinned brown wash into the folds.